Jewellery is your prized possession and like all good things your jewellery should also be given the much needed love and care. They are your treasure which you will not just cherish all your life, but will also want your later generations to admire and value. Most overlook the fact that jewellery should be properly worn, properly cleaned and properly stored. The truth is, they are delicate and sensitive pieces and care should be taken to preserve it. How? What do you need to do for that? The answer lies with us. GN Designer Jewellers have compiled a comprehensive list of jewellery care tips below to help you in your endeavour to keep your jewellery beautiful forever. Your jewellery loves to be pampered and does not like to slog along with you. So when you are doing some heavy manual tasks, kitchen work, house cleaning or gardening, remove your jewellery to prevent any untoward damage or exposure to any cleansing agents. Your jewellery may be allergic to cosmetics, perfumes, lotions, hairspray or deodorant and hence, ensure that you wear your jewellery only after applying these products. Your jewellery is also allergic to chlorinated water and may react adversely to it. Hence, avoid wearing it in the swimming pools and spas. Your jewellery does not need any physical exercise to stay in shape so avoid wearing it to the gym or during any sports activities. Expensive jewellery should be kept secured in fabric-lined jewelry boxes. Jewellery should be properly stored in travel case, while travelling. You can use travel case made of fabric or leather. In fact, it is wise to make a good investment in terms of a jewellery case to protect your precious pieces on the road. Jewellery may tarnish when not worn for long. This is particularly true for silver or gold. In order to avoid this, make sure you place anti-tarnish strips to soak up the oxidants that are known to tarnish and discolor jewellery. As the saying goes, prevention is better than cure, hence make sure that you do the needful to avoid the need to repair. Jewellery should be regularly inspected to ensure that they are in good condition and to nip the problem if any in the bud before it gets bigger. Before you step into any jewellery repair store make sure you have done your research about that particular store and their service. Ask all the necessary questions to ensure that they are genuine and will not rip you off. Post repairing, when you are going to pick up your jewellery do not forget to inspect the repairing work done. You need to make sure that the necessary work has been done and the jewellery polished and cleaned. Diamonds: Though diamonds are extremely hard they may still be susceptible to damage from hard blows. Hence, care should be taken to avoid hurting it. Care should be taken to avoid accidental interaction with cleaning chemicals or cosmetic products and even with extreme temperature. Colored Gemstones: Colored gemstones should not be subjected to direct heat or sunlight as they may alter or reduce the color and appearance. They should also not be subjected to harsh chemical substances and cosmetic products as they may diminish the polish of the gemstones. Gemstones like emeralds, opals, topaz, tanzanite are extremely delicate and very fragile and hence, extreme caution should be exercised. They can be cleaned with warm water, mild soap and a soft brush. Pearls: Owing to their subtle nature, peals demand extra care and attention. Never store your pearl jewellery in a box full of other jewellery pieces as their interaction can damage pearls. Pearls should always be stored separately in fabric pouches. After every wear, pearls should be wiped with a soft cloth as there is a possibility that they might absorb acid from the skin and lose its shine. They are also sensitive to chemicals and heat. Use cleaners that are considered safe for pearls. Do not use ultrasonic cleaners, chemical agents, toothbrushes or any harsh materials, to clean your pearls. Gold: Pure gold is resistant to rust, acid and discoloration. However, it can get dirtied by the sweat or oil on your skin, body lotion, cosmetic products, perfumes, etc. Gold can be easily cleaned by soaking it in warm water with mild detergent and wiping it with a soft cloth. You can also use a soft brush to scrub your gold jewellery. Silver: Sterling silvers have a tendency to naturally oxidize or tarnish owing to its prolong exposure to air or its contact with water, chlorine, bleach or any cosmetic products. Use 100% soft cotton cloth or flannel cloth to clean sterling silver jewellery pieces and make sure you store them in a closed box or airtight bags to avoid it getting tarnished.  GN Designer Jewellers ensures that customers are properly guided on Jewellery Care. We enlighten all our customers on the importance of jewellery care and suggest them tips to take care of their precious assets so that they remain perennial.